Madre, mum, mere, mutter, mother. No matter what language, the word mother has always been a connection to love. This love is expressed in many different ways, but some of my own fondest memories with my mom are in the kitchen. Whether it was helping her make chocolate chip cookies or watching her prepare a holiday meal, it was so much more than nourishment or fuel. I always found comfort in her cooking. If you live in Portland, Oregon or have visited, chances are you have felt this type of love while eating at Mother’s Bistro and Bar. You hear the sounds of friendly chatter in the background, see the light dance and sparkle off the crystal chandeliers, smile as you look at the artwork of mothers and children on the walls, and simply feel the warmth of mother’s home cooking that Chef Lisa Schroeder has artfully infused into every meal. Before she knew a profession in cooking was possible, Lisa Schroeder was working at a job she didn’t love back in 1992, thinking about what to make her family for dinner. An idea started to unfold in her mind. “Wait a minute, there’s no place to get mother food…the world needs a place that serves mother’s cooking from around the world,” she thought. With some encouragement from her best friend, Lisa checked out the Culinary Institute of America (CIA) in New York, about a two-hour drive away. It was love at first sight. “Oh my God, I could do this for a living? Cook all day long? Is this really a career?” Lisa enthusiastically shares. She applied to the CIA, unsure what would happen, and was accepted. Then, a series of incidents occurred which most would see as setbacks, but Lisa realized was the push she needed to follow her passion. Her daughter decided to move in with her father, so she knew she would be cared for and it created more freedom in her schedule for her studies. She was laid off from her customer service job and was then able to collect unemployment while attending vocational school, or the culinary institute. Her best friend, the same one who encouraged her to check out the culinary institute, began an affair with Lisa’s significant other, which ended their relationship. “All these things were the atom bombs I really needed to push me toward cooking school to follow my dreams,” Lisa expressed. With her savvy business skills, culinary talents, and innate ability to persevere, it’s no surprise Chef Lisa Schroeder has accomplished so much. Yet what’s most inspiring about Lisa goes far beyond the awards she’s received for her restaurant and cooking, how she’s written a cookbook or served on various boards and organizations in the community. It’s how she openly and vulnerably shares her story. Lisa didn’t always know her path or have the clarity to follow her dreams. At the impressionable age of 17, she left her hometown of Philadelphia, Pennsylvania and moved to Jerusalem, Israel to attend Hebrew University. While there she began a relationship with a man who was abusive and involved in different schemes to make money, but never seemed to have a consistent income to take care of the family. “He’d drive around in a Mercedes, but yet I’d get phone calls from the electric company to get the bills paid,” Lisa remembers. She needed to make ends meet after they had moved back to the US and had their daughter, so she found a telemarketing position to help with the finances. She continued to set her sights on the best, working in restaurants like La Cirque and Lespinasse in New York, putting in 90 hours a week so she could earn her culinary stripes but also pay the bills. She sublet her apartment, and spent time in Europe learning from various chefs at some of the most premiere kitchens in France. 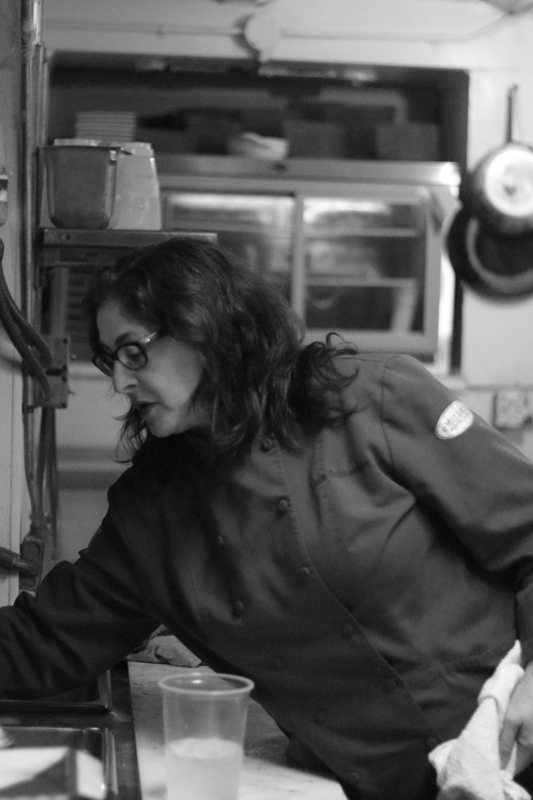 Taking her knowledge and life lessons with her every step of the way, Lisa was always thinking about how she would apply it to her own restaurant and her future. From the moment she had the idea in 1992, everything came back to Mother’s. After returning to New York from her time spent in Europe, Lisa met a man named Rob visiting from Portland, and they hit it off. They dated for about six months and as the relationship progressed, she decided to move to the northwest. Chef Schroeder always knew she would open Mother’s outside New York, and it seemed like the right opportunity to make a change both personally and professionally. Once she arrived in the City of Roses, Lisa began working at Besaw’s as a chef. She found she was gaining more confidence in herself and her culinary abilities, and after about two years, the time had come for her to open her own restaurant. On the day she gave her notice in July of 1999, a salesman came in and told her about a location on 2nd and SW Stark downtown that she should check out. “Something about the space spoke to me,” Lisa recalls about the first time she saw the future home of Mother’s. Everyone warned her since previous restaurants and bars had failed there, but she knew she could create the right atmosphere that felt like home. Just like the comfort we find in mother’s cooking, we find that same reassurance when we realize our dreams. No one said it would be easy, but seeking out that passion is truly extraordinary. You can receive our features in your inbox and be sure to follow us on Instagram to learn more about those who are defining extraordinary! The Foundation for Women Owned Businesses – yes I remember those days. You did your own PR and what a marvelous job you did. Love Mothers! We are fortunate to have you here! We couldn’t agree more! We are so lucky to have Lisa and Mother’s Bistro in Portland! We are so lucky to have Mothers and Lisa in our City. It’s an Institution. Mother’s always feels like a celebration. She’s always there when I need her! Such a great way to describe it!! Great article and love the edgy photos style (and crops)! May she have the blessing of continuing success in creating the best in food circles all over the world right here in Portland,Oregon….Bravo to the Queen!!!! !